Torque Pro is one of the most popular Android apps for running OBD2 diagnostics. 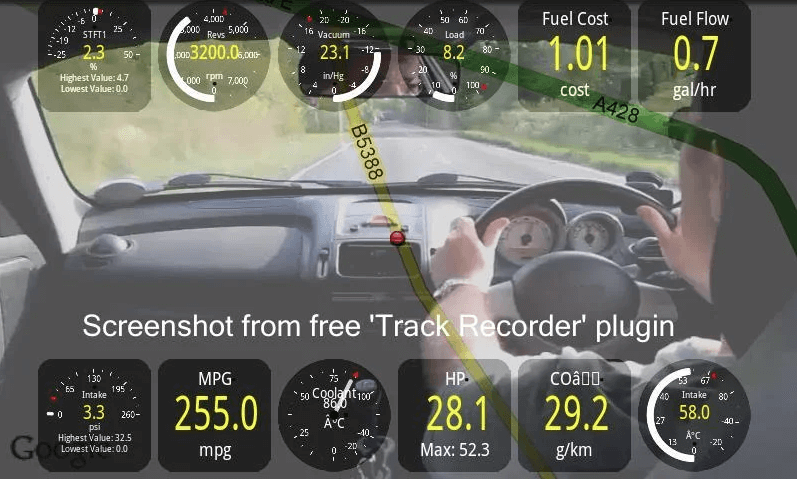 This cutting-edge software allows users to obtain information from the sensors of a car’s Engine Management System (EMS). Besides, you can use it to read/clear codes and monitor the car’s Engine Control Unit (ECU). So, in case you’ve been wondering why every best OBD2 apps review recommends Torque Pro you have the answer right there – it’s a reliable diagnostic and monitoring app. So what features does it bring to the table? Let’s take a look. Let me start by getting this out of the way. You’ve probably seen the name Torque Lite being thrown around in reviews. It’s the free version of Torque Pro. And what every best OBD2 apps review will tell you is that you don’t want that free version. When it comes to diagnostic codes, Torque Pro allows you to pull and erase current and pending codes from the ECU. These are typically codes that trigger the Check Engine Light (CEL). When you erase the code the light turns off. Conveniently, Torque Pro offers code definitions to help you understand what each code means. So the next time you have that pesky light on simply take your Android device, fire up Torque Pro and erase the codes. Among the many sensors that Torque Pro monitors are O2 sensors. By doing so the app is able to tell you whether your car will pass federal and state emission. In other words this simple software will save you the long trip to AutoZone or any other shop for a smog test. Torque Pro is equipped with an impressive array of features for monitoring and reporting sensor data in real-time. They include a built-in dynamometer that shows the torque and horsepower of your car. Other parameters that you can view include transmission temp, RPM, speed, air flow rate, fuel trim and so many more that indicate your ECU’s performance, efficiency and fuel economy. Providing diagnostic data (codes and live data) is just a portion of what Torque Pro can do. In addition to that it lets you store the data on your device and even share them. You can send the data using email or on the web for other people to help you with your diagnostic issues. Besides, the app gives you a unique ability to share your screenshots on social media like Facebook, Twitter and Google Plus for friends, family and auto mechanics to help. Torque Pro works alongside a Bluetooth OBD2 adapter. The adapter simply plugs to the OBD2 port and can remain there as long as you want. A typical adapter is a small dongles that won’t obstruct your driving. For that reason, you can leave it plugged and paired with your smartphone or tablet. It will relay real-time data from sensors as they are recorded. As such, it enables you to keep track of such systems as engine, ABS, transmission, airbag and wheels. If anything out of the ordinary is detected the app will notify you instantly so that you can take action before the damage is too big. For example, if your car overheats you will get a notification. You can then pull over and let the engine cool down before proceeding. Torque Pro features a unique ability to sync with your car’s GPS. By doing so, it will tell you the exact time and location when a problem was recorded. Pretty cool, right? There’s more, its ‘Track Recorder’ comprehensively records your trip routes when activated! As hinted several times already, Torque Pro is an Android-based app. This cutting-edge software pairs with a Bluetooth enabled smartphone, tablet or even PC, provided it uses the Android operating system. The app works with virtually every Android version from Android 2.1 (meaning all modern Android devices). The other thing that you will need is an OBD2 adapter. Also called an OBD2 dongle, this small device acts as the link between the app and the on-board computer. It picks and sends information back and forth between the car’s computer and the app (via your phone/tablet/PC). Luckily Torque Pro is compatible with all Bluetooth-based adapters. That leaves you with a plethora of options to choose from, ranging from Bluedriver to Carista and every other OBD2 adapter.  Allows you to personalize the arrangement of widgets and gauges.  Resembles a scan tool in functionality. E.g. it can reset the CEL.  Has a rich library with DTC definitions to help newbies.  Comes with plenty of add-ons like maintenance scheduler, user profiles, custom dashboards etc.  Pro version is very affordable while Lite version is free.  Compatible with all OBD2 cars.  Drains phone battery fast.  Doesn’t work with iOS devices.  Not the simplest OBD2 app to use. Who Is Torque Pro For? With an impressive range of functions, Torque Pro is a fundamental app for car owners. It not only enables the ordinary person to scan the ECU and reset the CEL but it also makes vehicle monitoring a breeze. With it you won’t have to visit the shop every time you need to scan the engine. 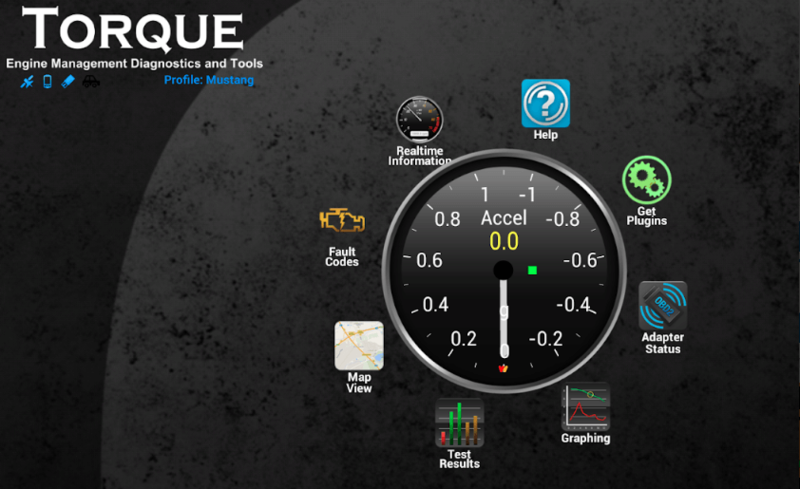 In sum, Torque Pro is without a doubt one of the best diagnostic apps for car owners who have Android devices. Whether you want to check the engine, run emissions or view live data from sensors, Torque Pro brings them all to your hands, literally. That’s why the best OBD2 apps reviews rate it the best for Android devices. Note: appreviews.ninja is a real source to get some genuine reviews for your app. Whether it is about enhancing your app rating or it is about improving search rankings, whether it is about boosting up organic downloads or it is about gaining more audience to your website, AppReviews-Ninja is a source that can make everything possible for you and that too just within a very less period.